Responding to the recent concerns raised by Moody’s Investor Service on Sri Lanka’s future debt repayment, National Economic Council of Sri Lanka (NEC) Secretary-General and Chief Economist Prof. Lalith Samarakoon said Sri Lanka has the capacity to service its foreign debt obligations, is unequivocally committed to honouring all its foreign and domestic debt obligations and will maintain fiscal discipline and adhere to agreed medium-term macro-economic targets. 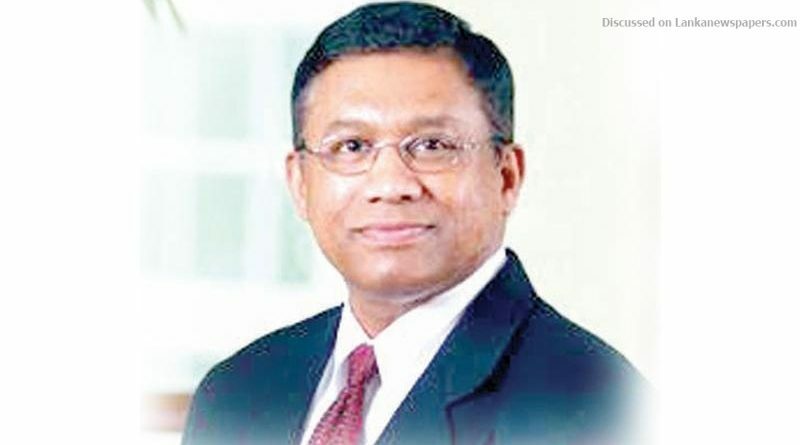 Elaborating on the country’s capacity to pay, he said, Sri Lanka’s foreign exchange reserves stand at US$ 7.2 billion against the debt service obligations in 2019 amounting to about US$ 5.8 billion. One billion dollars of this amount representing Foreign Currency Banking Unit (FCBU) and Sri Lanka Development Bonds (SLDBs) can be easily rolled over leaving about US$ 4.8 billion to be refinanced. “We already have US$ 650 million (in DST Foreign Currency Account at CBSL) which are remaining funds from the Hambantota Port transaction ($ 1.1 billion). The Bank of Ceylon and the People’s Bank will raise up to a billion dollars via international markets by the end of the year which will be invested in SLDBs. We also expect to raise a further 500 million dollars from the China Development Bank in February 2019 (10/18 we raised $1 bn from SDC at 5.3% with an 8-year maturity). These funding arrangements of over two billion dollars (2.15 billion dollars) will provide more than the adequate funds to service maturing sovereign debt in 2019. These include two maturing international sovereign bonds amounting to one billion dollars in January and 500 million dollars in April 2019. Therefore, Sri Lanka will be in a position to comfortably service its maturing foreign debt obligations and the CBSL has planned to negotiate and put in place a number of swap facilities ($400 mn with India and $1,000 with Qatar). Beyond the debt obligations maturing in the short-term, Sri Lanka has the time and space to pursue other bilateral options including bilateral and multilateral credit lines to enhance reserves to pay our debt obligations as they come due. With regard to the fiscal policy, the Government would assure its unwavering resolve to maintain fiscal discipline in line with the medium-term macroeconomic targets. Any additional expenditure and revenue shortfalls will be balanced through appropriate revenue and expenditure measures. On November 20, Moody’s Investor Services downgraded Sri Lanka’s sovereign credit rating by one notch from B1 to B2 and changed the outlook to stable from negative. Moody’s decision was based primarily on heightened debt refinancing risk in a period of further tightening in financing conditions and political and policy uncertainty with low reserve adequacy to face such risk. The Central Bank and the Ministry of Finance and Economic Affairs issued statements assuring Sri Lanka’s commitment to honouring debt obligations last week.